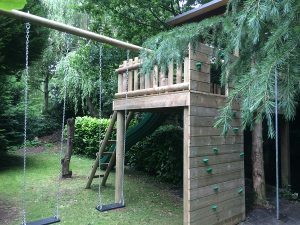 Not only can Gardenatics create a wonderful climbing frame and tree houses from scratch. We are also dab hands at wooden tree house renovation, refreshing tired, old and even rotten wooden tree houses. 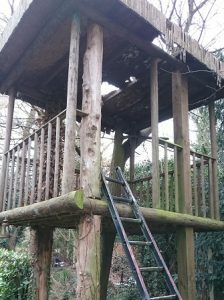 When this family, who’d recently moved to St Albans, came to Gardenatics, they’d just inherited a crumbling, rotten tree house. Saying that, they knew what an asset it could be for their kids. Despite having quite a limited budget, they did possess plenty of imagination and vision and turned to us to bring that vision to life. One Gardenatics visit later, the plans were set in motion. The old platform had a rotten roof and a rotten deck, but fortunately the main structural pillars and the main roof structure were sound. 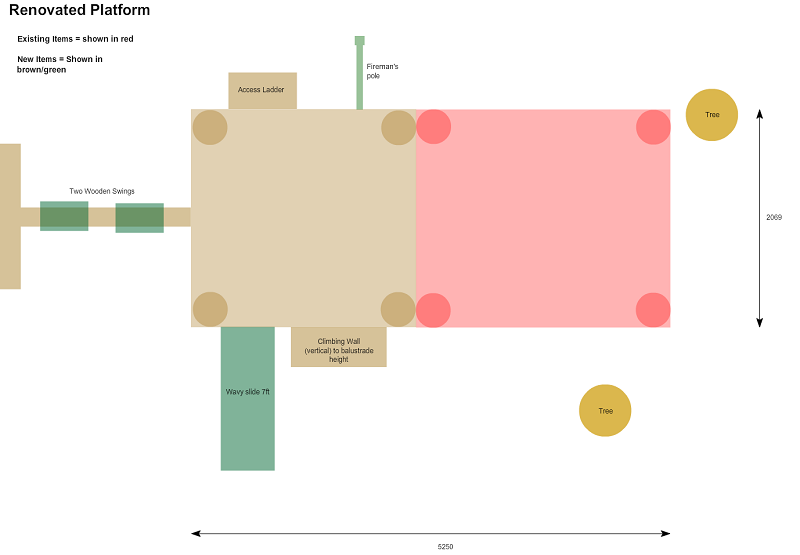 After carefully measuring the dimensions of the old, retained tree house elements, we set to work consulting the family regarding the type of fun they wanted to have and the activities they liked. We then started to put these ideas down as plans and drawings. 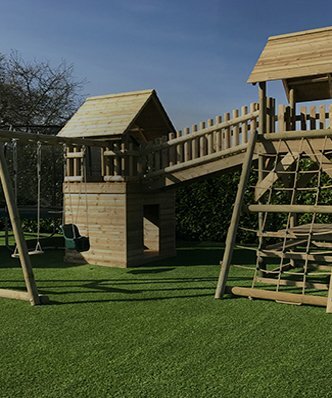 Once the consultation and planning stage was complete, we went to work manufacturing the high quality timber and accessories which was going to provide a fun fantastic play area in the sky. 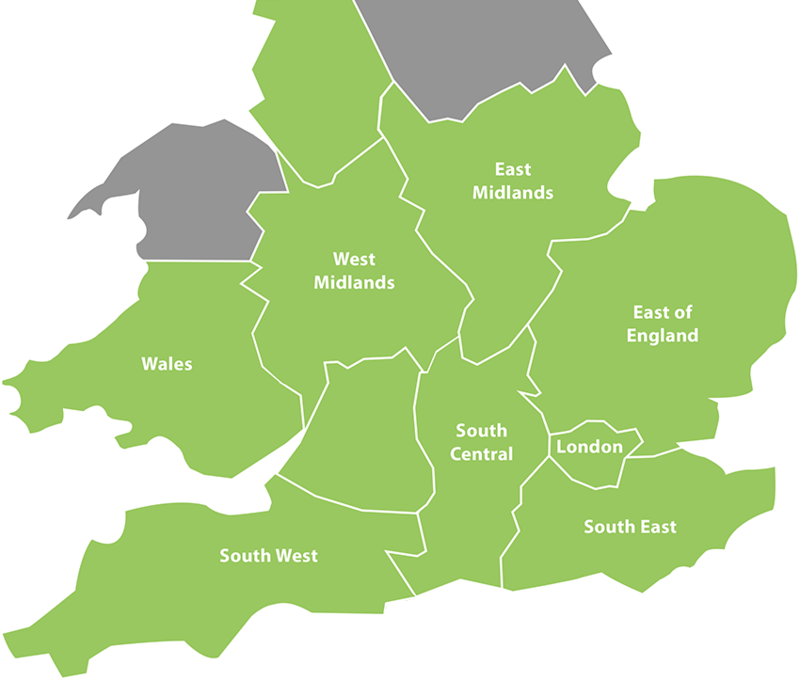 With the delivery made within a couple of weeks, it was now over to our skilled installation team to work their magic and bring the vision to life. After only one week of long days and plenty of head scratching moments, it was time to show the kids the final result. And what a fantastic renovation job! Its difficult to fully compare the before and after images, but the whole thing has been pulled together with the new platform decking and railings. 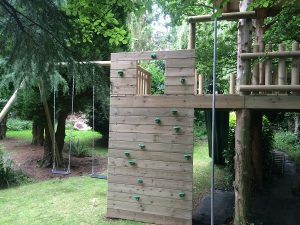 The extra tall platform ensures that any time up in the trees is a wonderful experience for children of all ages. 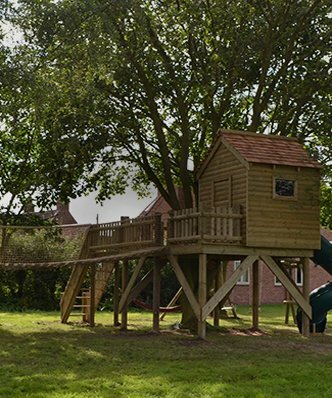 The main access point is the sturdy ladder, but there are other ways of accessing the tree house. The climbing wall will test even the most intrepid climber. 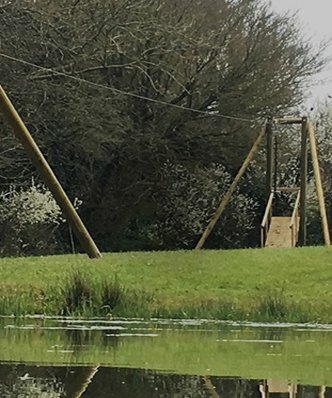 The sturdy swing set is all set for lazy, hazy days of summer bonding with friends. And the slide is just the most exhilarating way of exiting the construction. 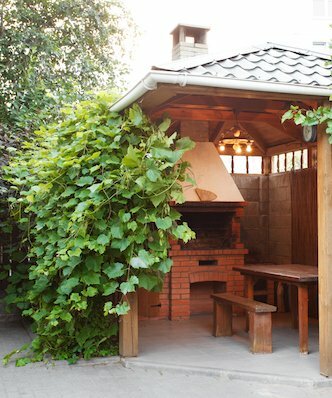 So, before demolishing that old rotten frame, why not give Gardenatics a call and see if we can breathe new life into old structures. Six weeks to plan and order all materials. Two weeks to install.